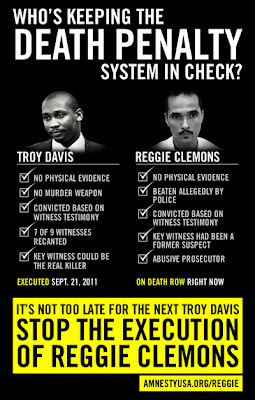 I have covered the case of Missouri death row inmate Reggie Clemons over the past three years. Despite no physical evidence linking him to the St. Louis crime, Mr. Clemons was convicted and sentenced to death in connection with the 1991 deaths of two White siblings, Robin and Julie Kerry, who drowned after falling from the Chain of the Rocks Bridge into the Mississippi River. He has had three stays of execution and his legal team is now engaged in what could be a final bout for his complete freedom. Surprisingly, a new witness has emerged. "On March 18, oral arguments were held by Judge Michael Manners in his Jackson County court room. Two major items came out of the last week's oral arguments that we didn't know from the September, 2012 hearings. One is a new witness came forward; the other is a date has set by Judge Manners for getting his recommendations in to the Missouri Supreme Court. "A video taped interview with Warren Weeks was presented as new evidence to Judge Manners by Reggie's legal team. The team had been contacted by Weeks after he read about the special hearing. 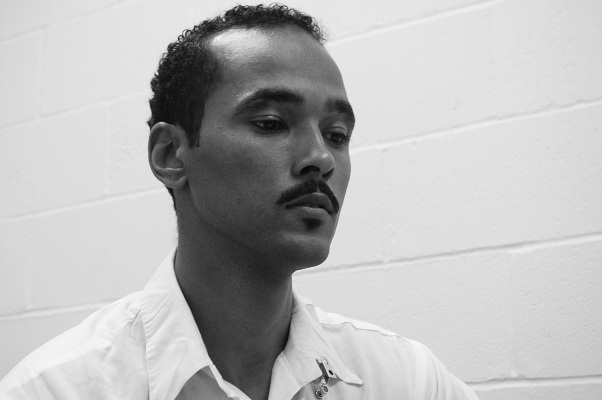 In 1991 Weeks was a bail investigator who interviewed Reggie just hours after his interrogation by St. Louis police where a forced confession had been beaten out of Reggie. Weeks testified that he observed a large bump about the size of a golf ball on Reggie's face and included that observation in his written report. The report obtained by Reggie's attorneys had been altered by Nels Moss just as the police report had been. In his taped statement, Weeks said that Moss tried to intimidate him in a meeting to discuss the report, challenging his ability to know what an injury was. Weeks recalled telling his wife later that evening that he felt something strange was going on with the case by the way the prosecution was proceeding. Weeks, who is white, was steadfast in his recollection back then and now. He was never interviewed by Internal Affairs nor was his statement ever turned over to Reggie's original attorneys. This testimony is the most important piece of corroborating evidence that Reggie was indeed beaten by police. "Judge Manners was reluctant during oral arguments (as he was at the hearing) to include proportionality in his review as he insists that MO Supreme Court will automatically review this aspect. Proportionality in death penalty cases means that the sentence must fit the crime and in Reggie's case, there's reasonable doubt that he murdered anyone. "Judge Manners will ultimately decide whether Reggie should stay on death row, be granted a new trial or have his sentence commuted to life without parole. The judge conceded several times during the evidentiary process that this case is "complicated" and that there is a "voluminous amount of information" to review. He also acknowledged that our Brady claim is charting new territory. The judge will continue his review and may ask either side for particular documents in the coming weeks. He hopes to send his recommendations to the Missouri Supreme Court by June 1." Death Row Inmate: "The Final Call newspaper helped to save my life"